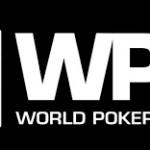 Salomon Ponte or “Hashtag King” of Toronto has done a superb job by winning WPTDeepStacks main event and collected an amount of $341,420 as first prize.Ponte topped the field size of 1,684 players, at the event took place at Seminole Hard Rock Hotel & Casino, in Hollywood. 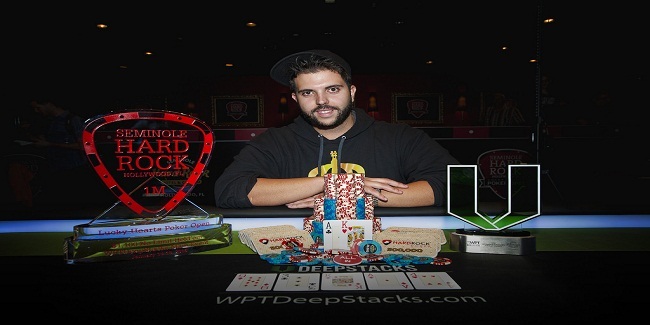 It took four hours for Ponte to win the trophy of the main event of World Series of poker Deep Stacks. The 26 years old guy is a professional poker player from Toronto, Ontario and According to the reports this the biggest win by Ponte in his poker career. 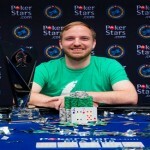 Before this win, Ponte has made $19,465 playing at different poker festivals. Harrison Gimbel, collected an amount of $93,915 and was at 4th place. Michael Larocca, made an amount of $56,740, playing at WPTDeepStack and was at 6th place. Paul Balzano is at the 9th position of the event took place in Hollywood and got a cash amount of $27,390 in his account. Salomon Ponte was very pleased after winning this prestigious title and the biggest cash win. The Previous cash for him was at 2014 WPT Fallsview Poker Classic Main Event, where he made an amount of $16,623 and was at 18th position in the winning chart.